We love to give back to our healthcare community. Our mission is to provide financial assistance and support to any and all aspects of healthcare in our service area. The generosity of many individuals throughout the years have made it possible to disperse funds annually. Learn more about our Scholarships, Loan Repayments and Grants. Find out how we support our community. 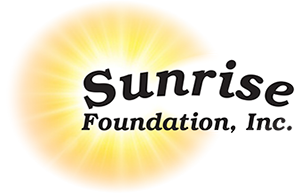 Sunrise Foundation supports healthcare in our area. If you want to know more click on the box. Want to keep in touch. We would love to tell you all the great things we are doing.